Inshore: Winter is here and so far it has been quite mild feeling more like late spring. However the inevitability of colder weather is on the horizon and will change the fishing opportunities in the bay. Once the water temperature gets into the low 60’s the metabolism of most our inshore species will slow down causing them to eat less and therefore become harder to catch. 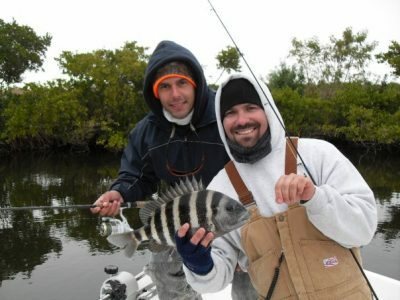 There is one fish that thrives in these cooler conditions and can be caught all over the bay, sheepshead. Like the name implies they have the front teeth of a sheep, stripes of a convict, scales like chainmail, and the most subtle and delicate bite of any fish I have ever fished for. Fishing for sheepies can be frustrating at times, but the reward of delicate white fillets is well worth testing your patients. I got a few pointers that I have picked up over the years that should increase your sheepshead success. Your tackle is key. Spinning reels in the 4000 size with a 7’ medium heavy rod and 20 or 30 pound braid will give you the power to turn big fish away from pilings and the finesse you need to feel the subtle bite. At the business end of the rig you will need about two feet of 20 or 25 pound mono leader, a #1 to #5 split shot (depending on current), and a 1/0 circle hook. The circle hook seems to navigate the point of the hook around the several rows of teeth and into the corner of the mouth. Remember when using circle hooks do not jerk the rod to set the hook, just reel the line tight and the hook will find its sweet spot. Now it comes down to the bait. Several baits will get the attention of sheepshead, fresh cut shrimp, sand fleas, fiddler crabs, clams, and even barnacles threaded onto a hook, but nothing gets a sheepie more amped up than a fresh oyster. To obtain these oysters you will need a few tools of the sheepshead trade, a flat shovel, brick, hammer and your landing net. Go to any of our local bridges, docks, or seawalls that have some current flow and tie off or anchor up tight to them. These areas are also where you will find large schools of sheepshead. Then have your partner hold the net down in the water against the oyster coated pilling and use the shovel to start scraping them off and into the net. This has a dual purpose, the larger oysters will stay in the net for bait and the rest will filter through and act as chum. Take the larger oysters set them on the brick and break them with a hammer. Pull the meat out and thread it over the hook several times then drop it next to the piling. Wait for the subtle taps or slow movement in the line then reel tight and get them to the boat. Offshore: Weather windows are brief this time of year but when you can get out there fishing should be hot. Gag Grouper will be moving into the shallow waters just off the beach (15 to 20 feet). Even though the season closes January 1st shallow water gag fishing is still a ton of fun. If you’re looking for something to bring home there are still plenty of options. 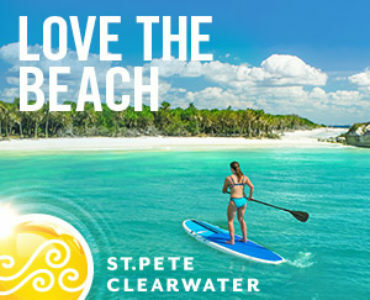 Grunts, porgies, seabass, hogfish, sheepshead and flounder will all be hanging around any good live bottom or ledges within 15 miles of the beach. When fishing for this smorgasbord of species I like to make it simple. You can anchor up or even drift larger areas on calm days. Use spinning tackle just the same as mentioned earlier but instead of a circle hook tie on a half-ounce pink jig head and tip it with a fresh shrimp or even a 3” GULP shrimp. Slowly bounce the jig off the bottom or fan cast around the area to help locate a group of fish. Once you get a nice fish chances are there are more of his buddy’s close bye. Another action packed option if you are weary of going too far offshore is that there will be large schools of silver trout migrating down the beach. A good place to start looking for them is around Redington Long Pier and even the JP Marker. You can find them by using your bottom machine or just drift an area off the pier and casting red and white plastic jigs until you catch one or two of them then mark that spot. These fish are in large schools sometimes several thousand strong and when they find an area they like they seem to stick to it. They are not picky eaters but you will need to make sure your lure or bait gets down to the bottom. Silvers are good eating delicate white fish but they do not freeze well so only take what you can eat that day. 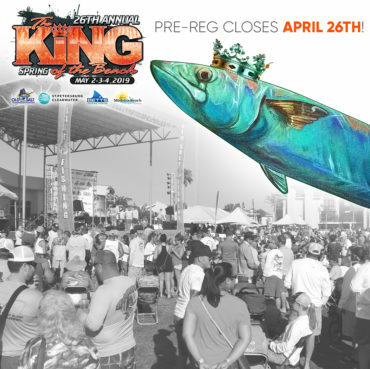 As always, if you have any questions about tackle or other marine needs come see us at the Madeira Beach Marina. We can special order just about anything you will need and at a very reasonable price. Now go out there and start making 2017 a great one. Have a safe trip and enjoy the paradise we live in. Why is it mandatory to do the FWC Gulf Reef Fish Survey?